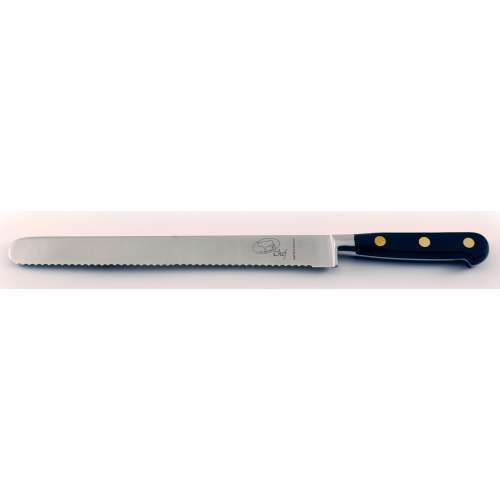 A slicer is a highly flexible piece of hardware it is usually longer and narrower than the average knife, this increases the flexibility of the slicer. 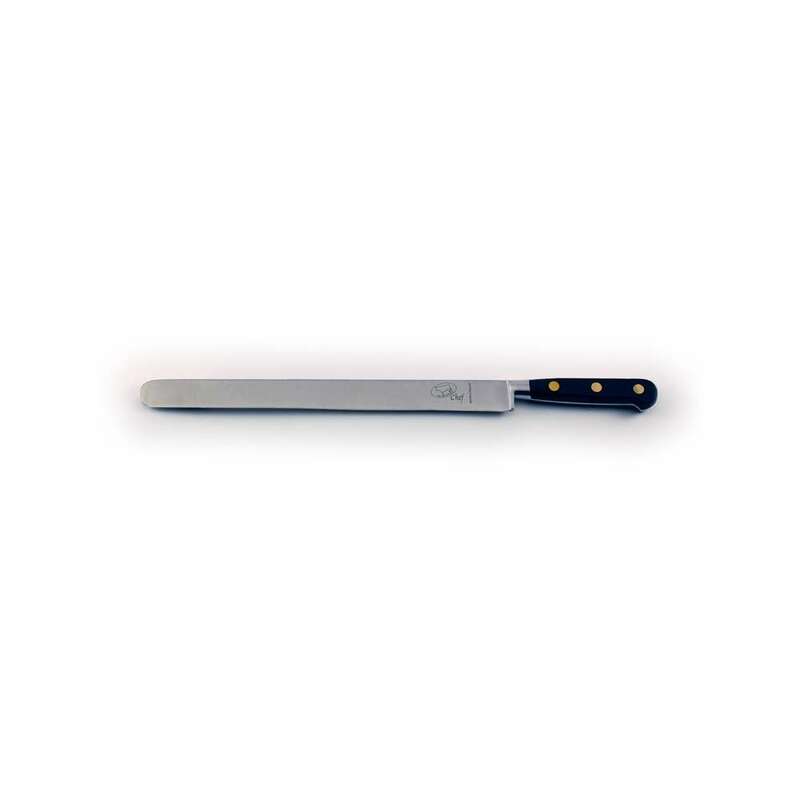 The length of the slicer allows the user to produce cleaner, more precise cuts by cutting entirely through their product in a single fluid motion. 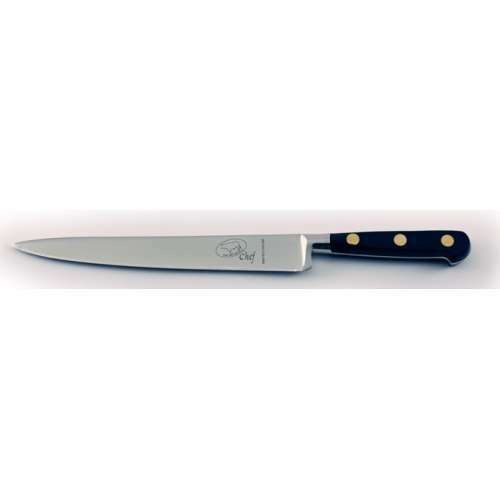 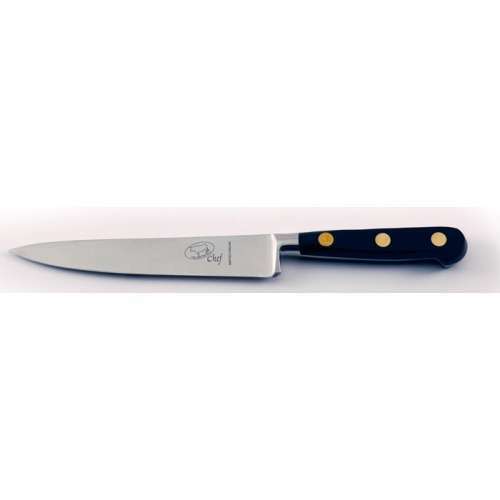 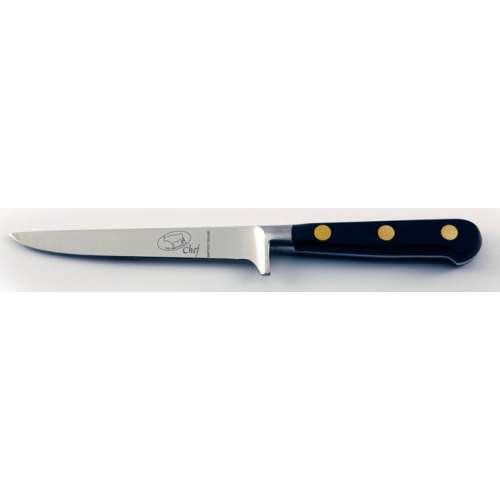 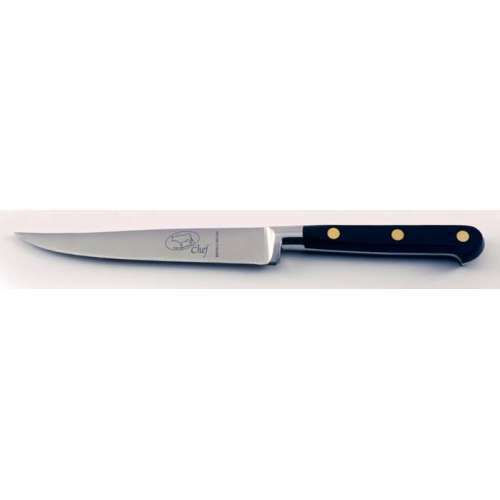 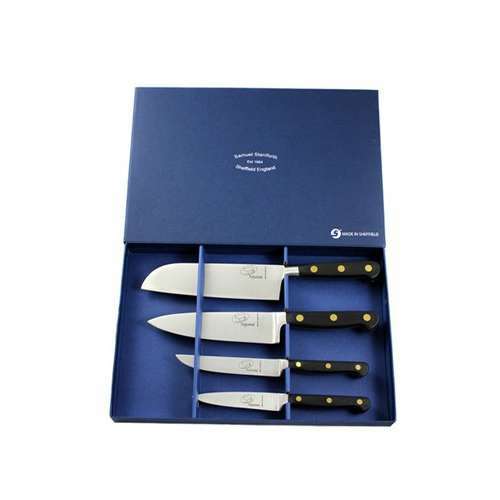 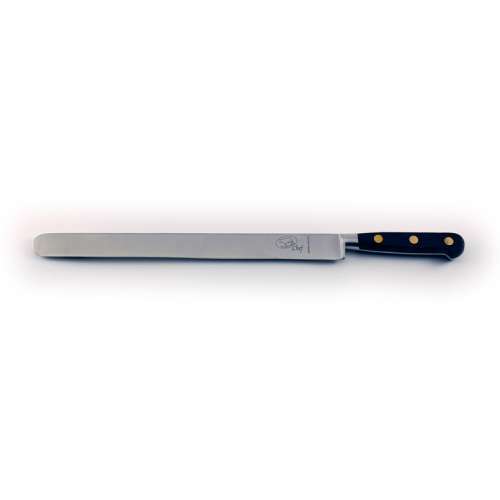 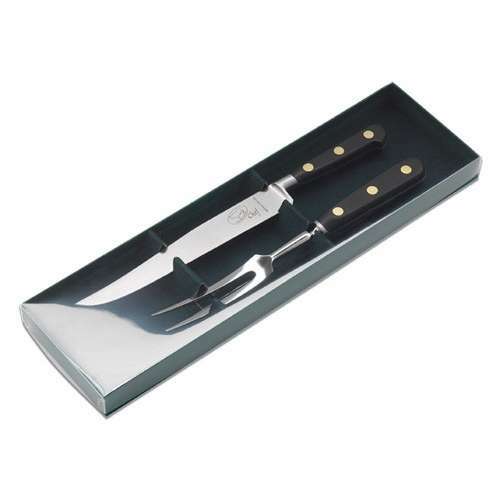 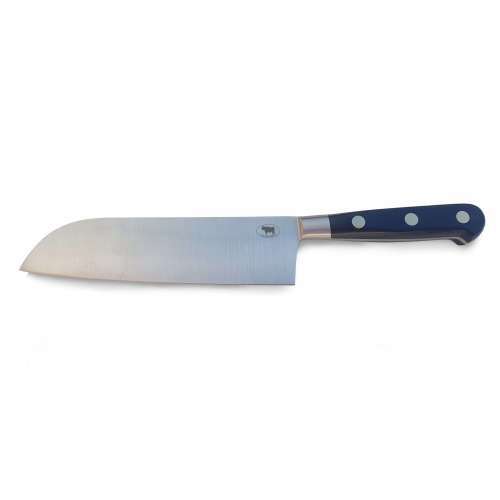 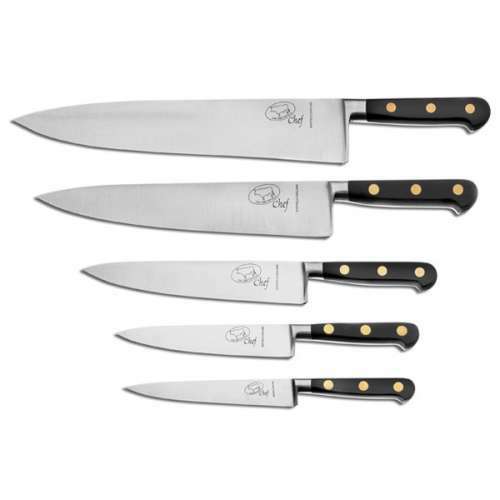 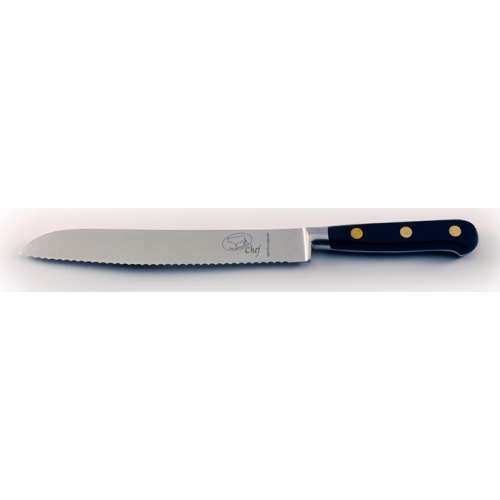 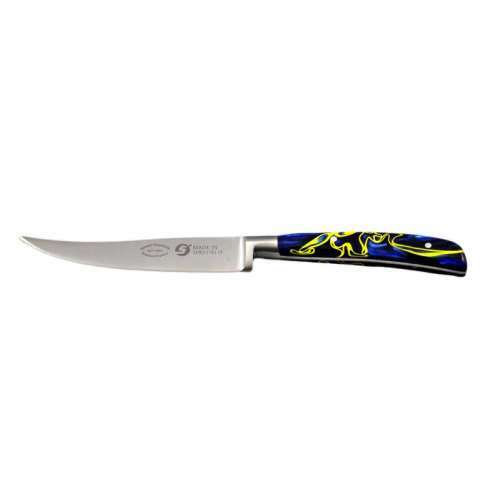 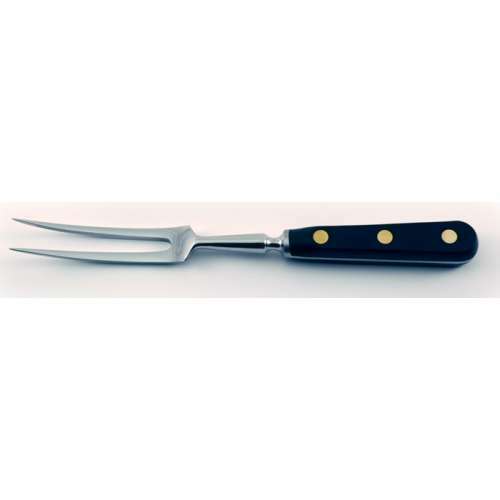 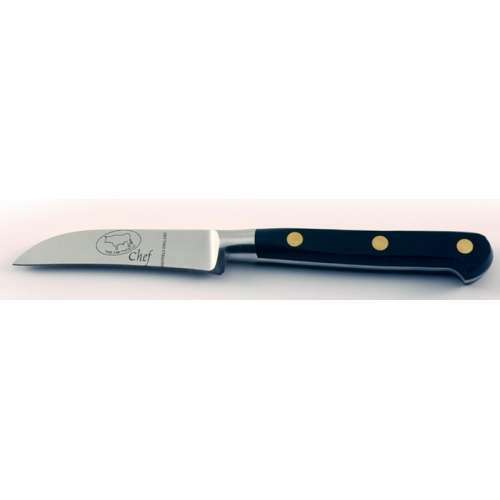 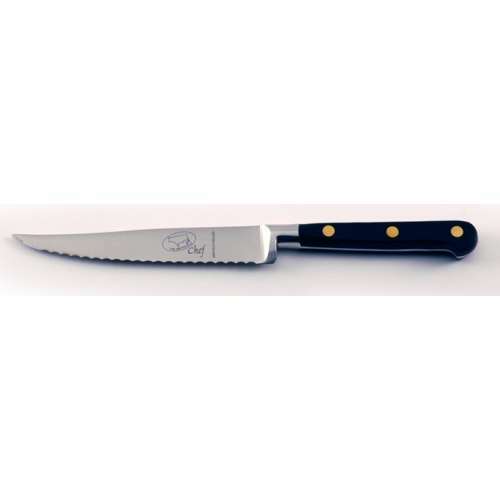 The slicing knife is also highly adaptable and can have either a plain or serrated edges, pointed or rounded tips.